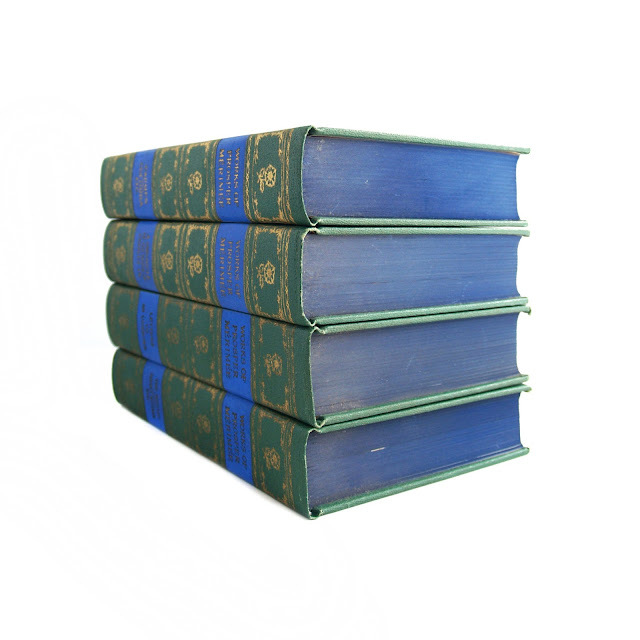 About 350 pages each, 5.5 x 8 inches. Copyright date states 1905. 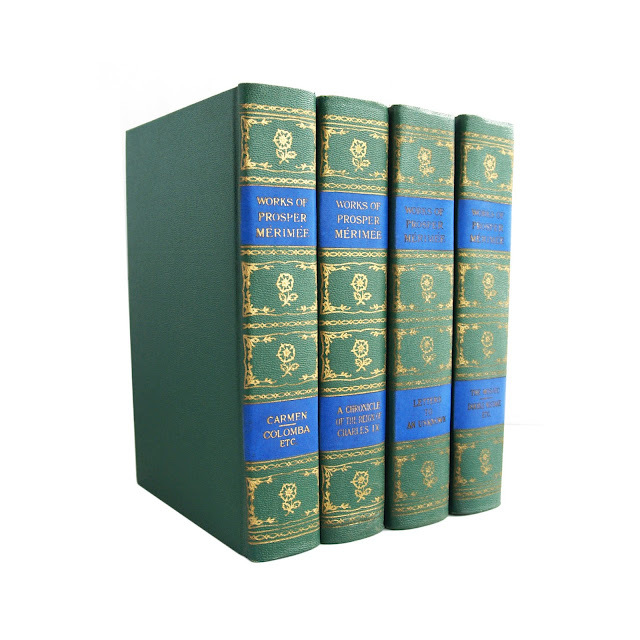 Eight volumes bound into four, this collection includes Mateo Falcone, Tamango, The Pearl of Toledo, The Blue Chamber, Lokis, The Spanish Witches and more. 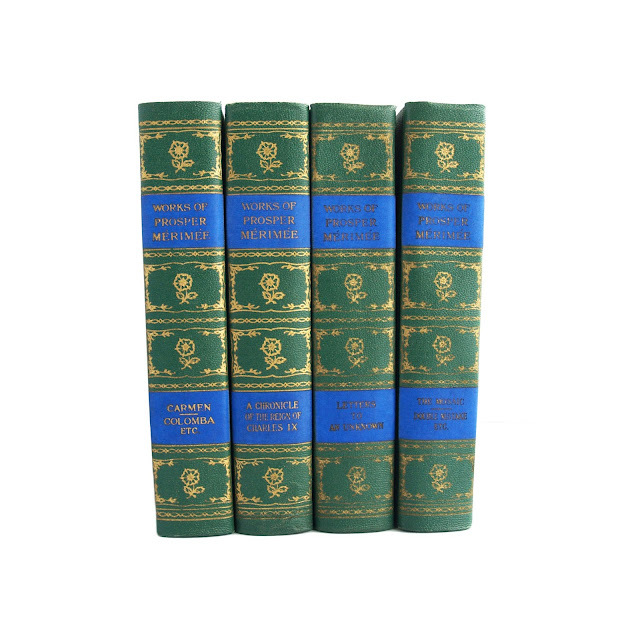 Also includes two stories by Alexander Pushkin, The Pistol Shot and The Queen of Spades; the stories by Pushkin are translations into English of Mérimée's translations into French. Edited by Prof. George Saintsbury, M.A. 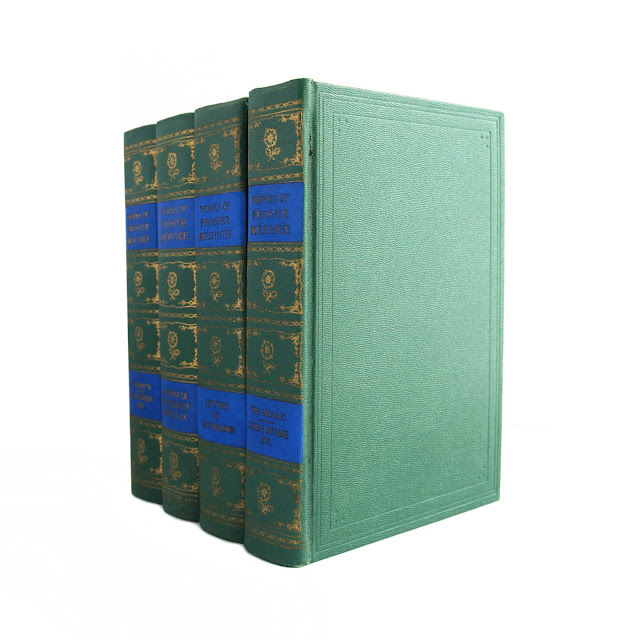 Handsome green cloth bindings with titles in blue, gilt lettering and decoration. Top edge is matching blue. Generally clean and crisp copies, just a touch of fading and wear; well-protected by the original brown paper wrappers, which show some wear. This particular printing is hard to find. Edited by Prof. George Saintsbury, M.A.